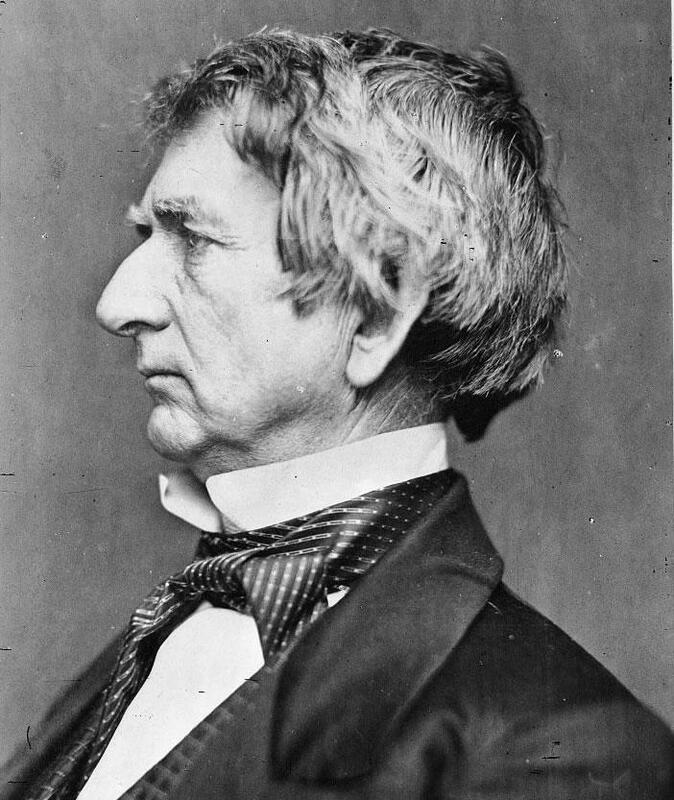 An undated photo of William Seward in the collection of the Library of Congress. Thanksgiving as we know it today -- a national holiday, on a Thursday late in November -- has its origins in the Civil War when, in 1863, Abraham Lincoln declared* a national Thanksgiving Day. And he did so in a proclamation written by New York's William Seward. Seward -- a Union College graduate** -- is a fascinating, important figure. He was a state Senator, the 12th governor of New York, a US Senator, and the Secretary of State for both Lincoln and Andrew Johnson. He was a Lincoln rival and then a great friend. He was connected to a New York political machine that twisted both arms and the law. He was an outspoken abolitionist, his home sheltered people escaping from slavery, and he was a friend of Harriet Tubman. He was stabbed, and his children injured, in an assassination attempt by a John Wilkes Booth co-conspirator. And, yes, he helped the United States acquire Alaska. Seward's devoted young friend Henry Adams enjoyed observing "the old fellow" at dinner "rolling out his grand broad ideas that would inspire a cow with statesmanship if she understood our language." He later wrote of Seward that it was difficult to tell "how much was nature and how much was mask." Seward was maligned alternately as an extremist and as a temporizer. He broke the law to help fugitive slaves, yet made concessions that he found personally unconscionable in order to preserve the Union. A man who literally bore the scars of a violently divided society nonetheless held on to a grandiose vision of American destiny and insured that the contours of a young nation were expanded. He was mocked for his boundless self-regard, but there was one man he came to admire even more. When Lincoln returned from Virginia on the evening of Robert E. Lee's official surrender, April 9, 1865, he went directly to visit Seward, who was recuperating from the carriage accident. Frederick recalled that "the gas-lights were turned down low, and the house was still, every one moving softly, and speaking in whispers." Lincoln sat down on the bed. Seward, his face wrapped in bandages, whispered, " 'You are back from Richmond?' 'Yes,' said Lincoln, 'and I think we are near the end at last.'" Lincoln was assassinated a week later, and Seward's family attacked. Seward would live another seven years. See also this Mental Floss list that includes a bunch of odd or unusual details about Seward's career. * It should be noted that the idea for a national Thanksgiving day had been promoted by Sarah Josepha Hale -- it was her argument that persuaded Lincoln. ** Seward Place in Schenectady is named for William Seward, as is the town of Seward in Schoharie County and the Seward Mountain in the Adirondacks.